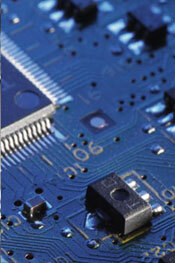 Analog Power was founded in 2002 to focus on power management, and produce the optimum products for its customers. It has offices in the USA (San Jose, California), Hong Kong and Taiwan, with an extensive network of representatives to cover most of the worldwide semiconductor market. By using industry-leading manufacturing partners, Analog Power's products are built to the same standards as the larger, more diverse vendors in the market. Analog Power's employees are customer-driven, with a high percentage of engineers experienced in power semiconductors.